Pneumonia is a leading cause of death in children worldwide. Physical exam and symptoms are not reliable for diagnosis, and chest xray is not available in all parts of the world. Lung ultrasound is known to be accurate for pneumonia and has more portability, less radiation, and less cost. Is substituting a lung ultrasound for a chest xray in suspected pneumonia feasible and safe? Can lung ultrasound reduce chest xrays needed? Randomized to intervention and control in blocks of variable lengths. Intention to treat analysis. d) request of patient guardian. Unclear how many pneumonias were missed on ultrasound but caught on cxr when sonologist thought cxr was necessary. In the ultrasound first arm, there was 63/103 that got cxr. 29 of those 63 were ordered at the request of admitting physician, referring physician, or guardian. Therefore, there were 34/103 (33%) cases in which xray was ordered by the sonologist in the ultrasound first arm, but we don't know the specific reasons why. 1. 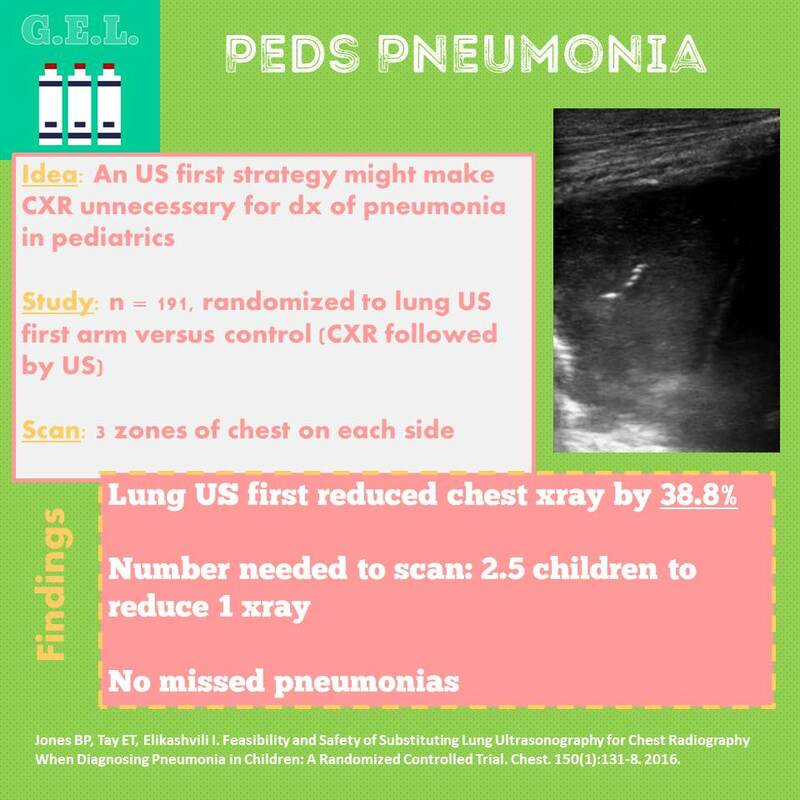 A lung ultrasound first approach in suspected pediatric pneumonia resulted in reduction in chest xray by 38.8%. 2. 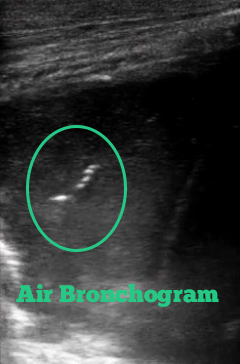 No pneumonias were missed in the lung ultrasound first arm (which included the use of chest xray when results unclear).